I’ve probably never mentioned this on my blog, but golfing is one of my favorite passions outside Internet marketing and business. I was fortunate to live in the southwestern United States for the past few years, so I’ve spent a lot of time on some of the best golf course in the southwest. One of my favorite courses in San Diego is Torrey Pines. Torrey Pines is a beautiful golf course on the shores of La Jolla that has been host to many PGA tournaments over the years, including where Tiger Woods won the 2008 U.S. Open with his broken knee. I’m lucky to have played Torrey Pines in 1999, where I had my first-ever birdie on the 8th hole. Las Vegas is another one of the top golf destinations in the southwest. There are many amazing Las Vegas golf courses thanks to its dry climate, excellent weather and the incredible amount of tourists. Some of the most well-known Las Vegas golf courses include Bali Hai Golf Club, Royal Links Golf Club and Desert Pines Golf Club. 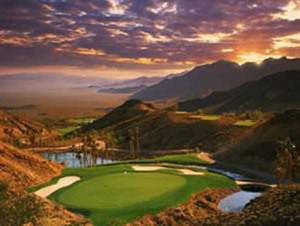 The Bali Hai Golf Club is a South Pacific-themed course that sits directly on the Las Vegas Strip. It features spectacular scenery and a challenging layout for golfers of all skill levels. 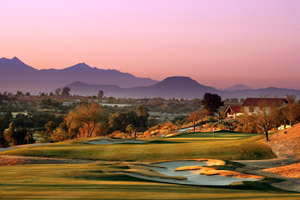 Another popular southwest golf destination is Arizona. I played Troon Golf Club with my dad about two years ago, when Matt, Josh and I lived in North Scottsdale. It was one of the most fun and challenging courses I’ve ever played. Tucson is also famous for some of the best golf courses in the southwest. While there are many Tucson golf courses, the one of the nicest is the Ritz-Carlton Golf Club at Dove Mountain. It was designed by Jack Nicklaus and built in January of 2009. Dove Mountain features three distinct 9-hole courses that all golfers will appreciate. If you are a golfer and ever get the chance to visit the southwest, I highly recommend checking out the courses in Las Vegas and Tucson. Not only will you experience immaculate scenery, you will get the chance to play some of the most challenging (and rewarding) golf in the entire U.S!